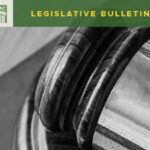 In a February 6th blog post, we updated you on the status of the litigation between the media and the legislature regarding whether the state’s public records act (PRA) applies to the legislative branch. 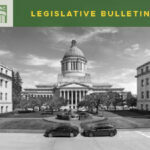 At that time, Senator Jamie Pedersen, D-43, had introduced SB 5784, which added the legislature to the PRA but also allowed for a significant set of exemptions for legislative records. That bill was heard in the Senate State Government Committee on February 13th. Several media representatives testified against the bill at that hearing. One lobbyist even said their opposition to the bill is so strong that he would rather they lose the lawsuit than acquiesce to this bill. Additionally, at a February 18th media availability, when asked whether he would sign the bill into law if it were sent to him, Governor Inslee stated that he believed state agencies, the executive branch, and local governments have proven that business can be conducted effectively while abiding by the PRA and that he hoped the legislature would follow suit. Meanwhile, in the House, two representatives – Mike Pellicciotti, D-30, and Christine Kilduff, D-28, introduced HB 2105, which makes it clear the PRA applies to the legislative branch and assigns the Secretary of the Senate and the Chief Clerk of the House to act as their public records officers. The bill has not been scheduled for a hearing at this time. It will be interesting to see whether a bill such as this will be heard or if they will simply let the lawsuit play out. 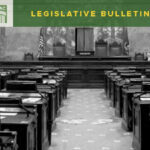 In less controversial news, WSAC’s joint effort with the Association of Washington Cities, HB 1667 – also concerning public records, passed out of its policy committee unanimously on February 19th. The bill will make permanent the grant program and consultation services from the Attorney General and State Archives. 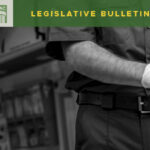 It will also modify the metrics local governments and state agencies are required to submit to the Joint Legislative Audit and Review Committee (JLARC) that should make their resulting report more valuable.